2019 will see the 4th Wokingham Walk. 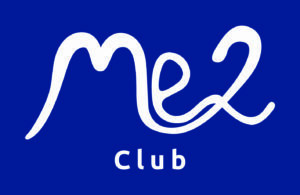 Me2 Club’s aim is to address the challenges of isolation and exclusion of children and young people (aged 5 to 19 years) with wide ranging additional needs and disabilities throughout the Wokingham Borough by enabling them to experience, and benefit from, a weekly mainstream leisure activity of their choosing. To do this we recruit, train, screen and support volunteers who are then carefully matched to the child who requires their individual help to access a mainstream leisure activity. We have been successfully delivering a positive difference to the lives of children with additional needs since 2003 having been set up by a group of parents who wanted their children to have the same leisure opportunities as their mainstream peers. Each year we support approximately 100 children (whether or not they have a diagnosis) plus their families. First Days was established in 2013 with the belief that “every child deserves the same chance in life”. The charity takes donated clothes, toys and equipment for children from newborn to seven years of age and redistributes them to children in Berkshire and beyond whose parents are struggling to provide basic necessities for their families. Children are referred to us by professionals working with families (eg. social workers, midwives), who submit a referral request for anything from a simple stairgate, to a full newborn set for triplets. We currently help around 1500 children each year, which includes about 100 regular referrals each month. The remaining referrals come through as emergency requests (for example, a newborn baby or an ‘edge of care’ child), and in summer, for school uniform (for 4-16 year olds) to allow children to make a positive start to the new school year. Although Berkshire is an affluent area, between 11% and 30% of children are classed as living in relative poverty across the county (www.endchildpoverty.org.uk). Over a third of the families we help have at least one parent in full time work and parents find themselves struggling for a number of reasons, including physical and mental ill health, redundancy, rising housing costs, family breakdown, refugee status, austerity measures and the changes to the benefits system. The event will start in Howard Palmer Gardens, Wokingham and will have a rolling start time from 9am until 10.30am. Feel free to turn up at a time which suits you. Tea, Coffee and Bacon baps will be available. The finish will be manned until 6pm so there is no need to rush. Howard Palmer Gardens is adjacent to Cockpit Path Car Park which is off Sturges Road Wokingham. The registration area will be clearly visible as you approach the the Park. Registration will be available from 9.00 am until 10.30 am. Please ensure that you check back in at the end of your walk so that we know that everybody is accounted for. The check in will close at 6.00pm. There will be Bacon Sandwichs, tea & coffee provided at reasonable costs by Wokingham Rangers for their own funds. Please support them and have a tasty start to your days walking! Water bottles will be available for a donation, but please bring at least 2 litres of water with you. Should you need any assistance while you are on the walk, please save the number below onto your phone prior to the event. When using your mobile phone during the walk, please keep an eye on your battery level so you always have enough power to call the emergency number if needed. Please bear in mind that some apps can drain your battery quickly, so keep a close watch. Please invite friends and family to support you on the walk and join us at the Howard Palmer Gardens which is the common start and finish. The ATC will continue to cater during the day and Burgers/Sausages will be available to purchase during the lunch period. The route will be clearly signed with Arrows to signify the 3 different routes Wokingham Walk routes. The extra 5 mile of 20 mile route will not be signposted but a GPX file is available. Make sure you always have an idea of where you are as it is your responsibility not to get lost and to know your rough location if you do. We also recommend taking a route map with you. The 5,10 and 15 routes will be marked with Mile Markers so try to remember which one you passed last to help find your location. You will be fully responsible for the safety and security of any children that accompany you on the walk. 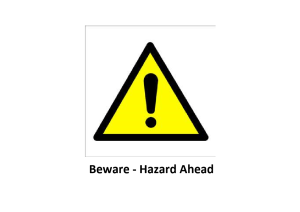 Hazards on the route will be indicated by this sign. Take special care when you see these and be aware of your surroundings. There aren’t too many rules but the ones we do have are important to keep you safe. Please make sure you familiarise yourself with them prior to the walk. Participants must ensure they are adequately hydrated, fed and rested before commencing any stage of the Event and report any concerns to an Event Medic or Event Staff. If, in the opinion of an Event Medic, a participant is considered unfit to complete the next stage, or further stages, that participant will be excluded as necessary . If you need to exit/drop out of the walk, please inform our event staff on the contact number previously mentioned. We will be able to advise you on the best way to leave the walk either by pick up or public transport. If it is an absolute emergency and you cannot continue to a rest stop, please call the emergency number as detailed earlier. There will be no rest stop on the 5 mile route which is estimated to take you around 2 hours to complete. Please ensure that you carry sufficient water and snacks as there will be minimal opportunity to purchase these items on route. The 10, 15 and 20 mile routes will have a rest stop at Ambarrow Car Park and a second in Finchampstead. We will supply snacks and water to refill your bottles, or you can purchase bottled water which can be purchased for a donation to our nominated charities plus the pubs on route will be pleased to sell more interesting refreshments and allow you to use their toilet facilities! You do not have to get yourself sponsored but the Wokingham Walk is the perfect opportunity to raise funds for the good cause of your choice.